The Rotary Club of Abbotsford is pleased to announce the installation of Bill Bramwell as President for the 2018-2019 Rotary year effective July 1st. 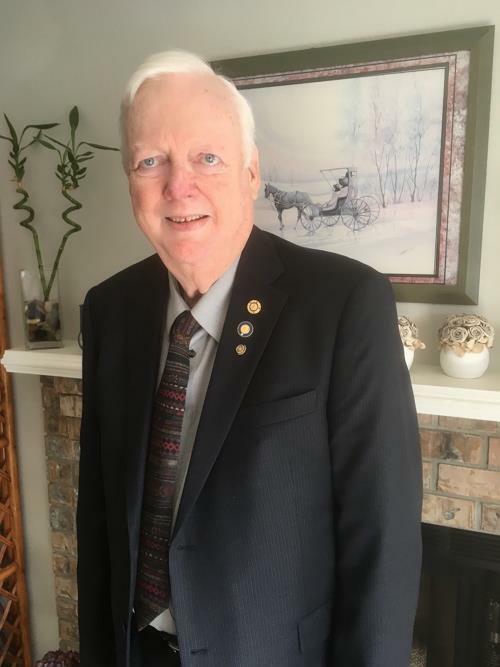 Bill, a multiple Paul Harris Fellow award recipient, has been an active Rotarian for forty-two years serving as Director in all areas of the various clubs that he has been a member of including Treasurer, Secretary, and Past President of the Rotary Club of Ladner. Bill a graduate of UBC in Psychology and Business is a retired professional Accountant who worked as Financial Controller for a number of corporations and was the Director of Finance for various branches of the Provincial Government. Bill also successfully negotiated the revised funding agreements for 100 privately owned mental health facilities on behalf of the Province of British Columbia. In addition to serving as President of the Rotary Club of Ladner, Bill also served on the Board of Directors for the Delta Community Foundation. Since moving to Abbotsford Bill served on the Board of Directors for Abbotsford Restorative Justice and Advocacy Association and is currently the Past President of the East Abbotsford Gideon’s Chapter and is also on the finance committee at the local church he attends.